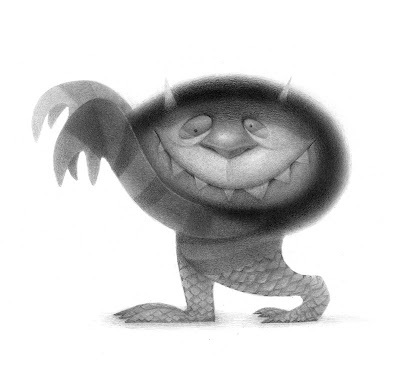 Mike Lee works at Blue Sky and is one of my favorites; his pencil work is just breath-taking and I'm so pleased that's what he chose to do for Terrible Yellow Eyes! Stop by his blog and prepared to be destroyed by pure draftsmanship and control of pencil. Bonus! Mike sent me a colored version as well!